Girl Boss Networking of No. Westchester/Putnam Co. NY will hold its monthly Coffee Date in Brewster on February 13. Join us for a gathering of female entrepreneurs who have each other’s backs in life and business. We are a community of women who believe that we all rise and succeed when we encourage and lift each other up! 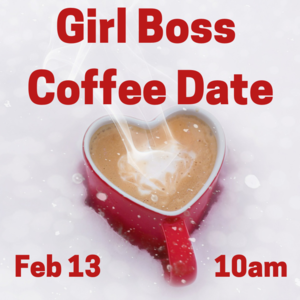 Come learn how Girl Boss Networking can enhance your life and business!